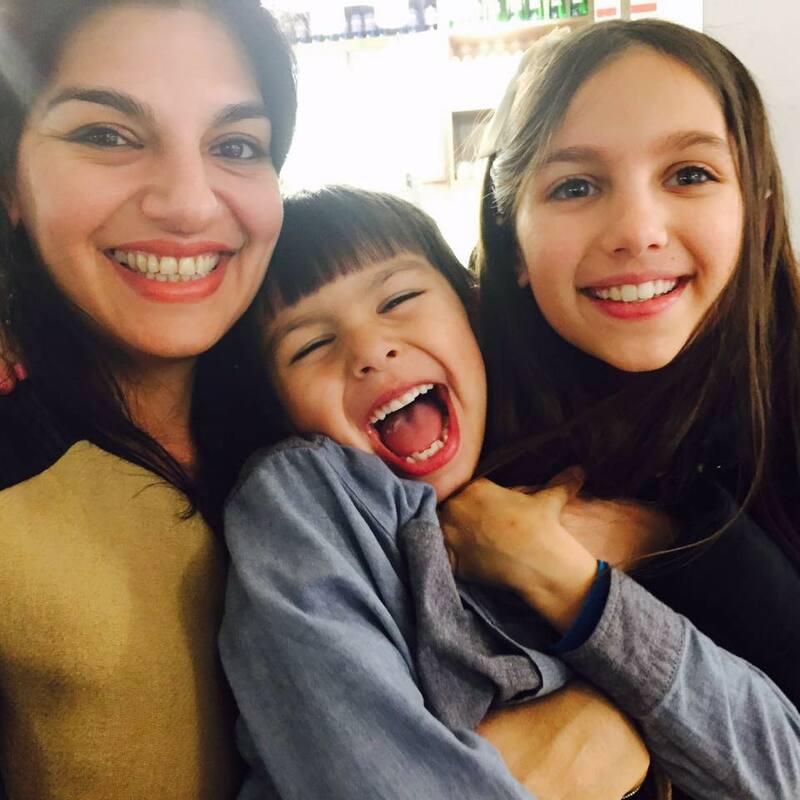 Schools out and summer holiday time is here. 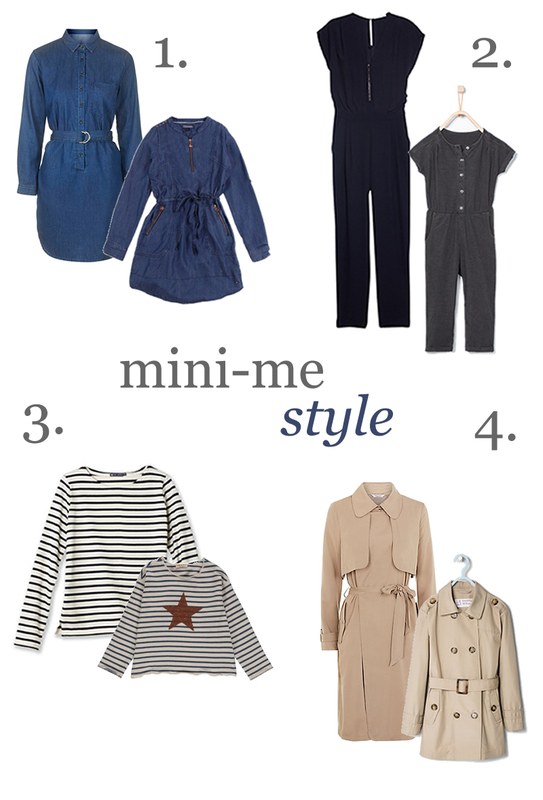 Not long now till we jet off on holiday so I have compiled a selection of wardrobe staples for girls, boys and for mamas of course! I hate packing with a passion and unpacking even more. It’s taken me over two weeks to unpack from the last holiday which is really quite embarrassing now! The kids are off for a short break with granny so two more lots of packing to come and so pleased that the summer and heatwave has finally arrived in the UK. 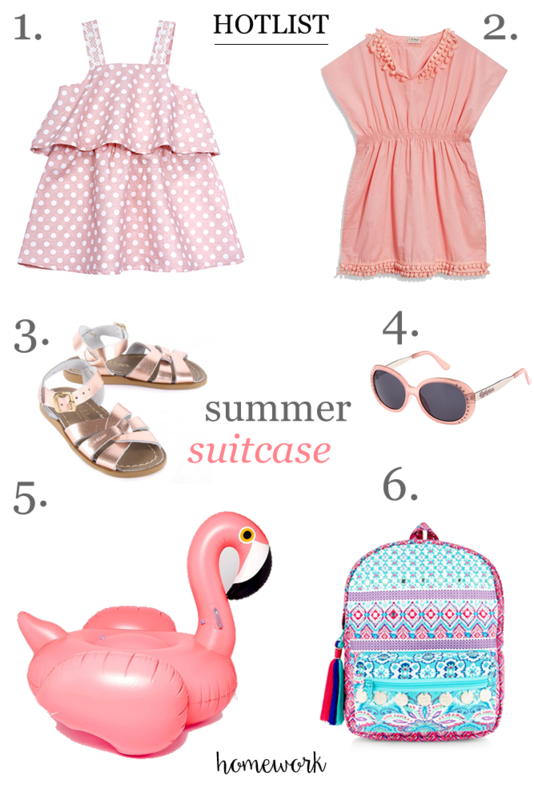 A decidedly pink edit for the girls, not intentional but who would not want to pack that infamous Sunnylife inflatable flamingo for their summer holidays? Bit pricey for a piece of plastic but definitely investing in one this year. Not for the kids but for me! Also snap up the Limited Edition rose gold Saltwater sandals from Smallable as they are going fast. I have yet to buy a pair of these pretty sandals but my blogger pal Kidstylejunkie swears by them and buys two sets for her twins every summer. 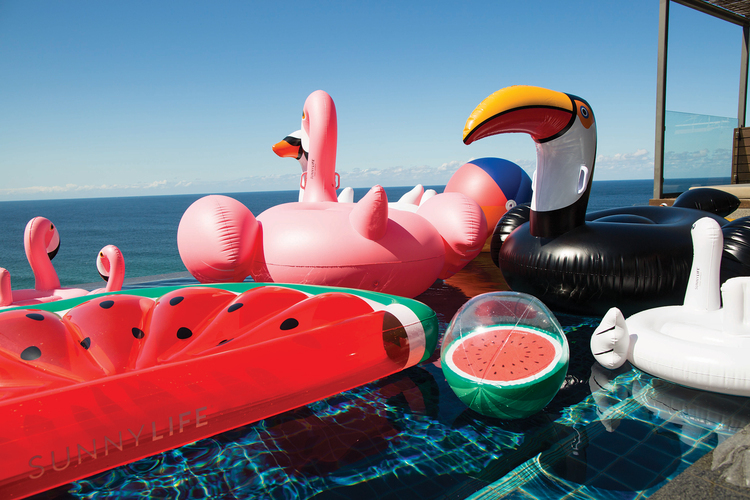 The boys are not to be outdone on the inflatable stakes this year so head to ASOS for the toucan inflatable and a selection of other fun poolside pieces. 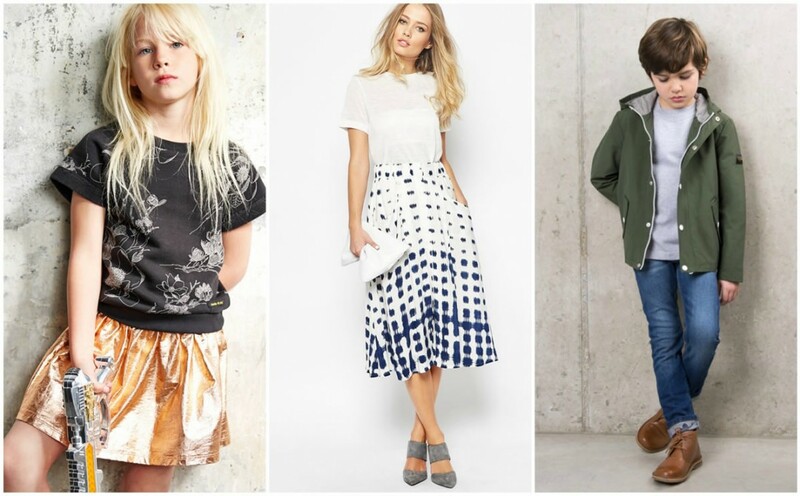 Boho is still big news this summer, from the floaty kaftans to the numerous embroidered blouses and peasant tops seen everywhere on the high street. I instagrammed this River Island festival jacket recently as simply had to share but seriously I do not want to take it off. It’s such an amazing find, sadly now sold out in the sale but available at ASOS full price. 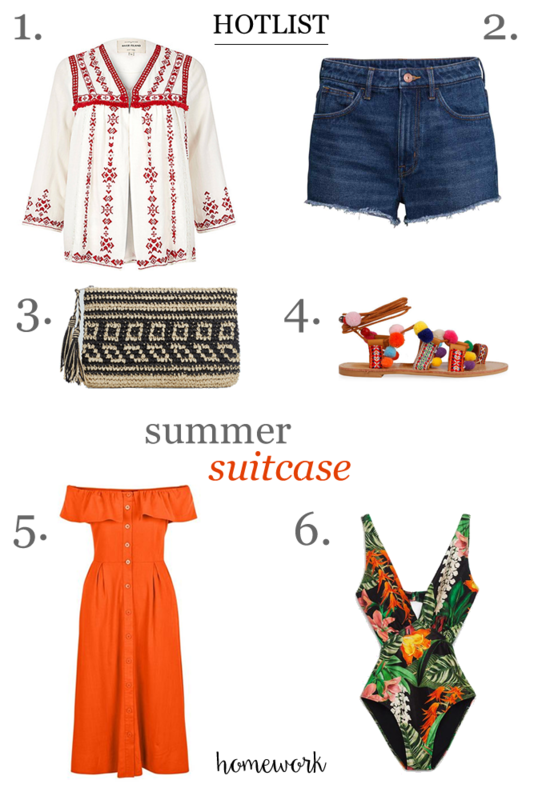 How many pairs of denim shorts is too many? Can’t stop buying different styles of these but got these high-waisted denim shorts for a bargain from H&M. Just get one size up as their sizing is a joke! If one thing is having its moment this summer, it’s the tassel and pom pom. I am coveting the Elina Linadarki pom pom sandals but these ones from Ego will do just the trick. Last but not least is this Reformation-style bardot dress from New Look. Team with gold jewellery for that essential summer look. Hello Summer! 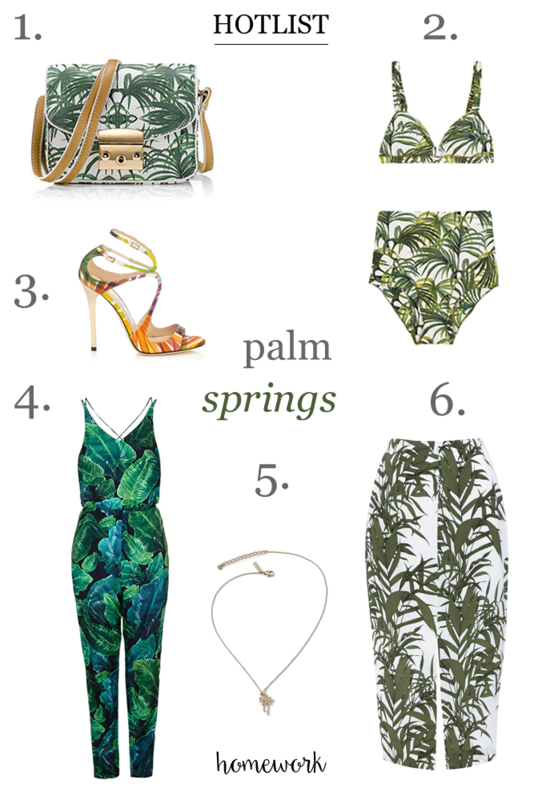 It’s the trend that keeps giving and giving – palm and tropical prints galore again this spring-summer. Palm tree prints have been a part of interior design for decades and experienced huge popularity in the 1940s with oversized banana and palm prints which are just as modern today. 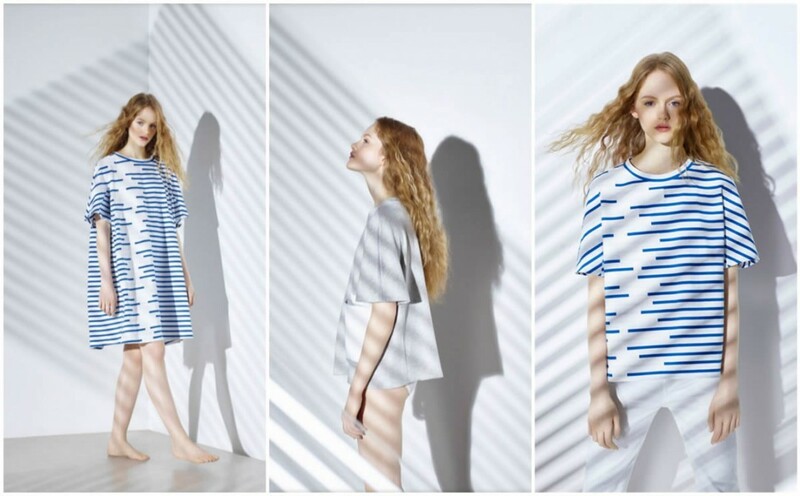 With the increasing demand for palm prints in the home as well as the forthcoming Rio Olympics, we have seen the trend re-imagined and influencing clothing and fashion accessories. 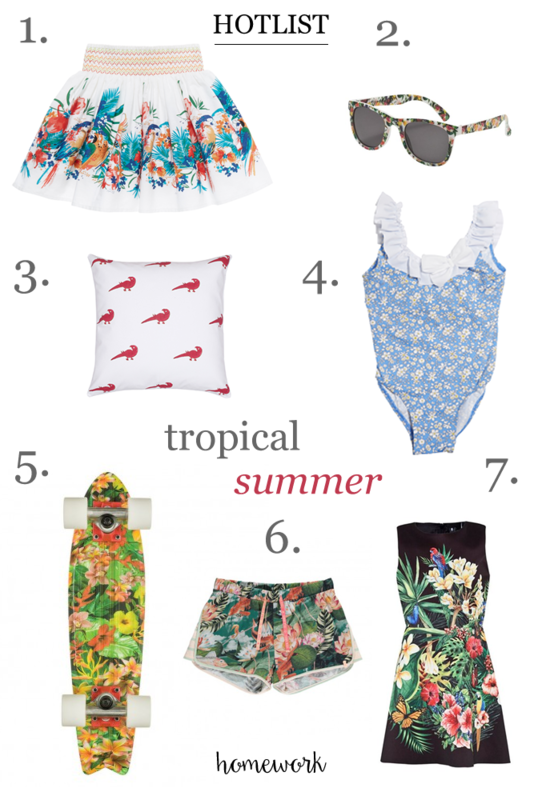 This time round, rather than palm & tropical prints for the home, this is how to add a tropical splash this summer with exotic birds and flowers and palm prints on kids’ fashion and women’s fashion. Here are a few of my favourites. 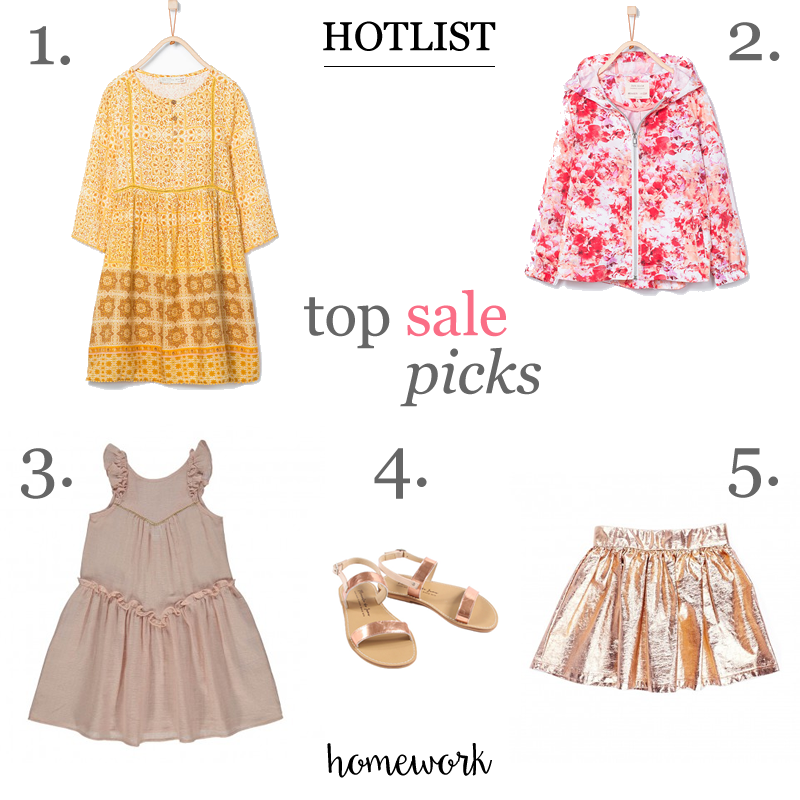 Et voila – there you have my tropical and palm print homework hotlist. Bring on the Rio Olympics! Blame it on Dolce & Gabanna, the pom pom dress and Sicilian basket or the everlasting bohemian trend but pom poms are big news this spring and this season you can have your pick of the bunch. 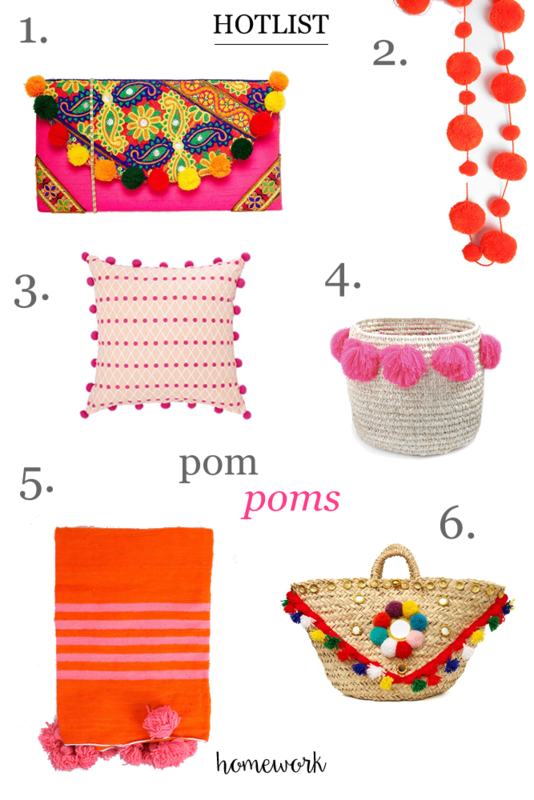 Whether it’s a pom pom basket, a pom pom bag or clutch, heels adorned with pom poms, a pom pom throw or garland for simple decoration, they are everywhere. 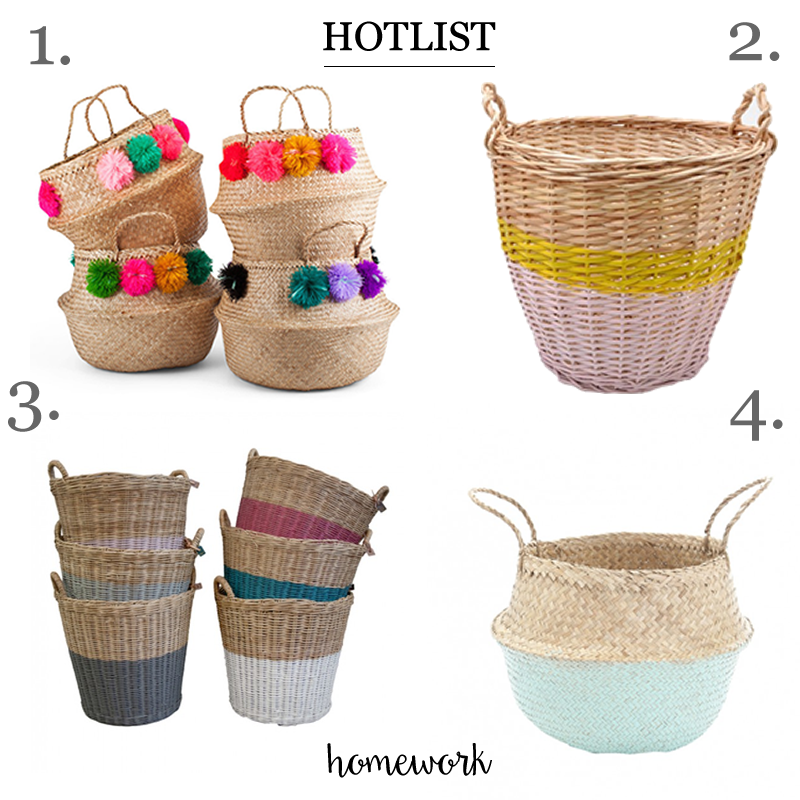 If like me you are pom pom or woven basket obsessed, you will also like a like my previous post Dreamweaver. I have also developed more than an obsession with the Banjara bags, vintage clutches made from recycled materials by craftspeople in Indian tribes as shown in the main picture by Nana & Jules. Here’s my pick of the pom poms, this summer’s hottest accessory. Pom Poms for the little ones coming soon. 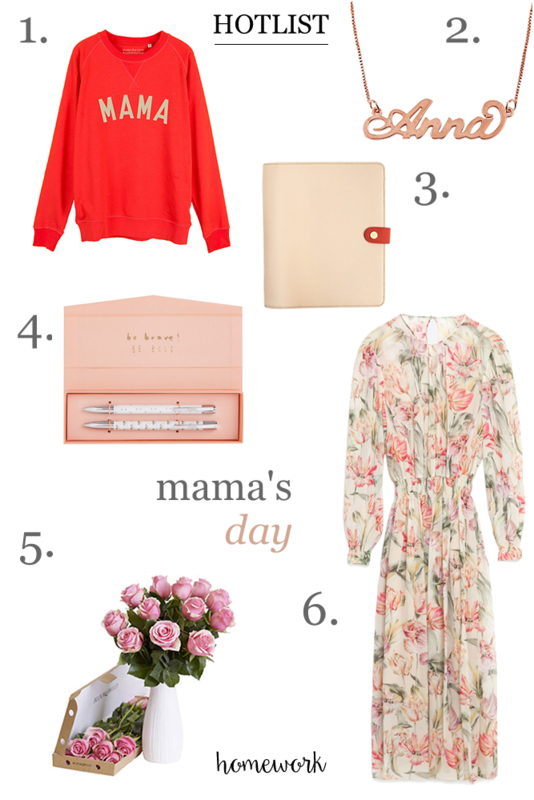 Leaving it pretty late for my Mother’s Day post but if you are reading this Hub, here is my Mother’s Day wishlist. I’ve done all the hard work searching for you, all you need to do is pick – one, two or three items, it’s up to you! Or Mums, why not treat yourself this year and save the disappointment! With a £15 donation going to Help Refugees UK, (a grassroots organisation doing amazing work on the ground for people in the Calais ‘jungle’ refugee camp, and on the Greek island of Lesbos, where asylum seekers are arriving everyday on perilously overpacked boats), what’s not to love about this Selfish Mother sweatshirt? I like the ‘Mama’ alternative in an eye-popping Hibiscus/Gold. Sold out at John Lewis but alternatives available at Selfish Mother. I have wanted one of these personalised name necklaces for yonks but have never got round to getting one myself. It has to be in rose gold. Nothing else will do! Of course, kids come first and I have recently bought one for my daughter’s 10th birthday. You can get them on etsy or Not on the High St which are awash with name necklaces galore but can vouch for this one here. Move over Tiger & HEMA, I have found a new stationery love. Kikki K Stationery has arrived in the UK. Let’s face it, who doesn’t love a bit of new stationery and the Scandinavians get it right every time. Love this Blush Pink Personal Planner. What more do you need when stationery is this beauiful? Simple things but I can never find a decent pen in this house. 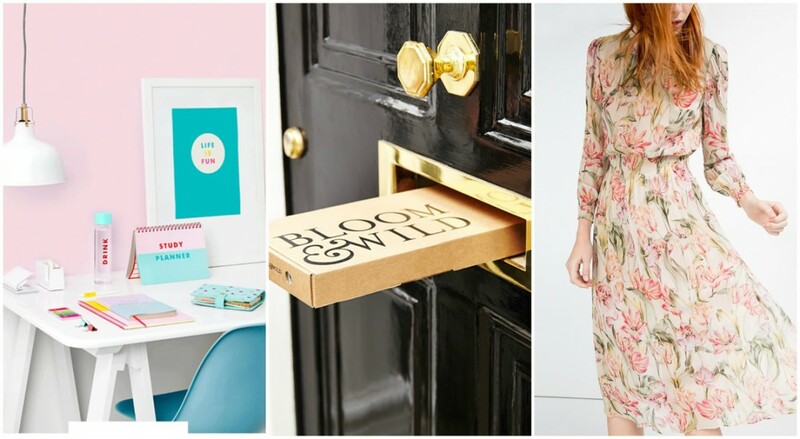 All I want for mothers day is this Dual Pen Set again from Kikki K.
Subscription boxes have really taken off this year but would love to get one of these Bloom & Wild boxes as an ongoing subscription. The Lizzie works out at £18.50 per bouquet sent every 28 days on an ongoing basis. I keep dreaming about this Zara printed dress. Have to stop myself as had a bit of a splurge recently on a number of midi dresses. Now just need somewhere to wear them! 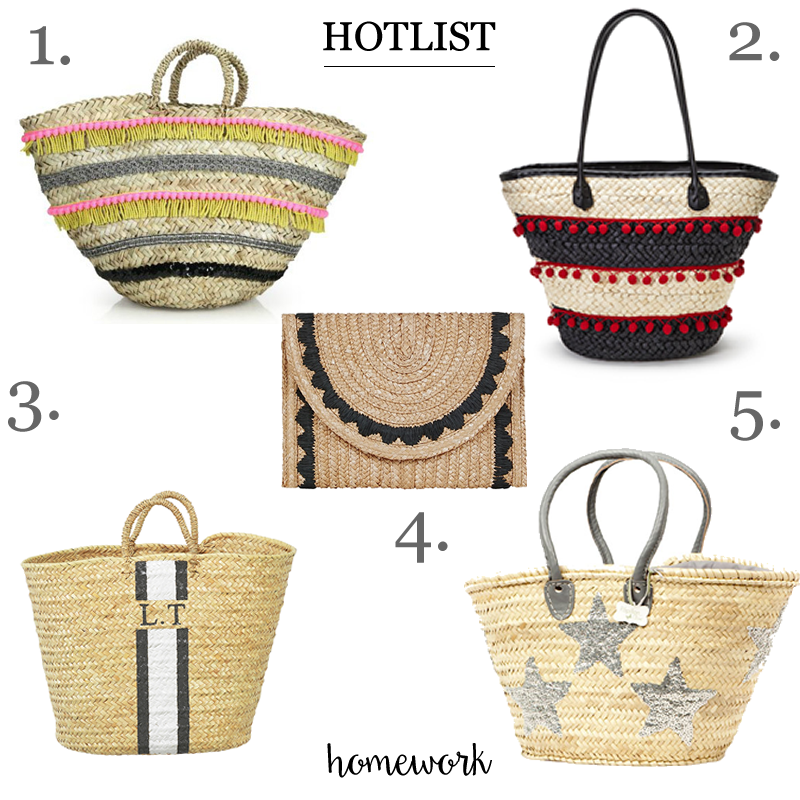 Having just returned from Mallorca, not only was it beautiful baking hot sunshine but also Spanish woven basket heaven! I aways manage to return form Spain or France with a woven basket of some sort but this time there was so many on offer. 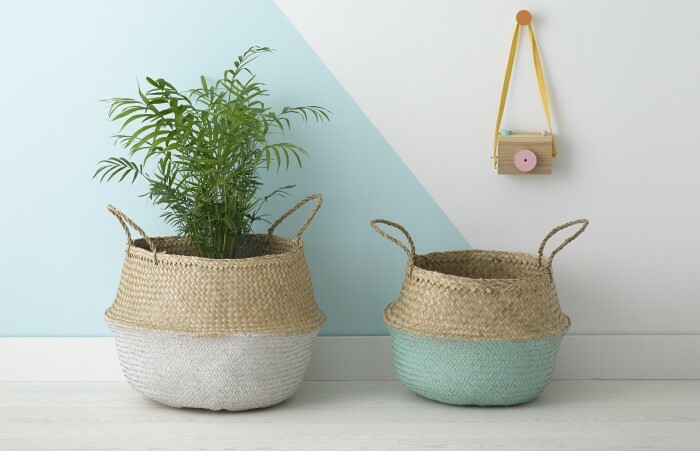 Baskets to use as beach bags, sequin baskets, dip-dyed, pom pom baskets or those to use for storage, there seem to be baskets to suit all. 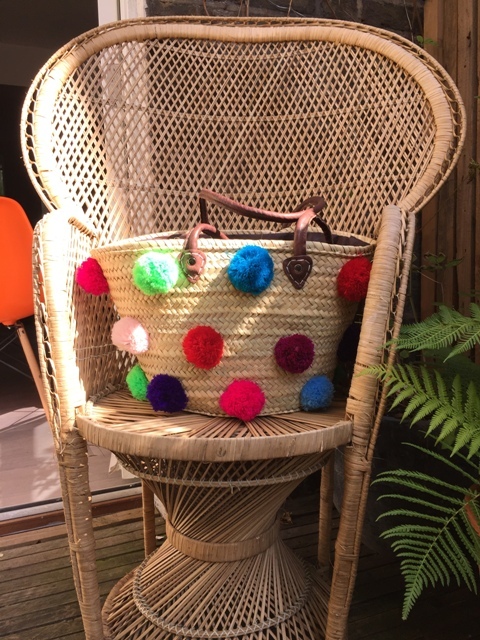 The purchase this year was a lovely colourful Moroccan pom pom basket all for the bargain price of £13. 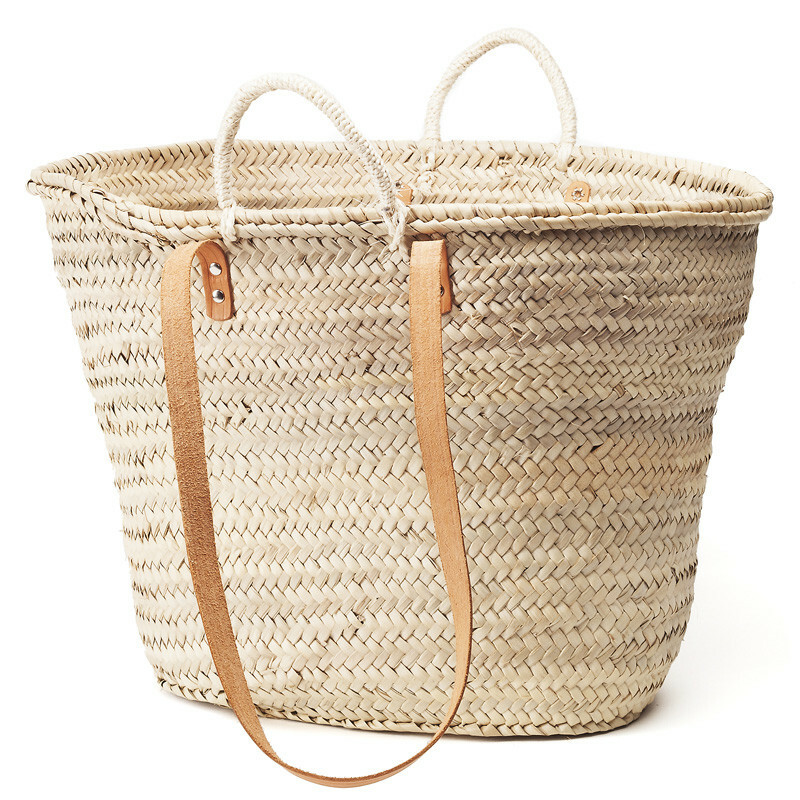 You can find a similar larger basket to this one below at newly launched edit58 who have a variety of pom pom baskets including the Eliza Gran baskets, also available in black with a hint of colour. 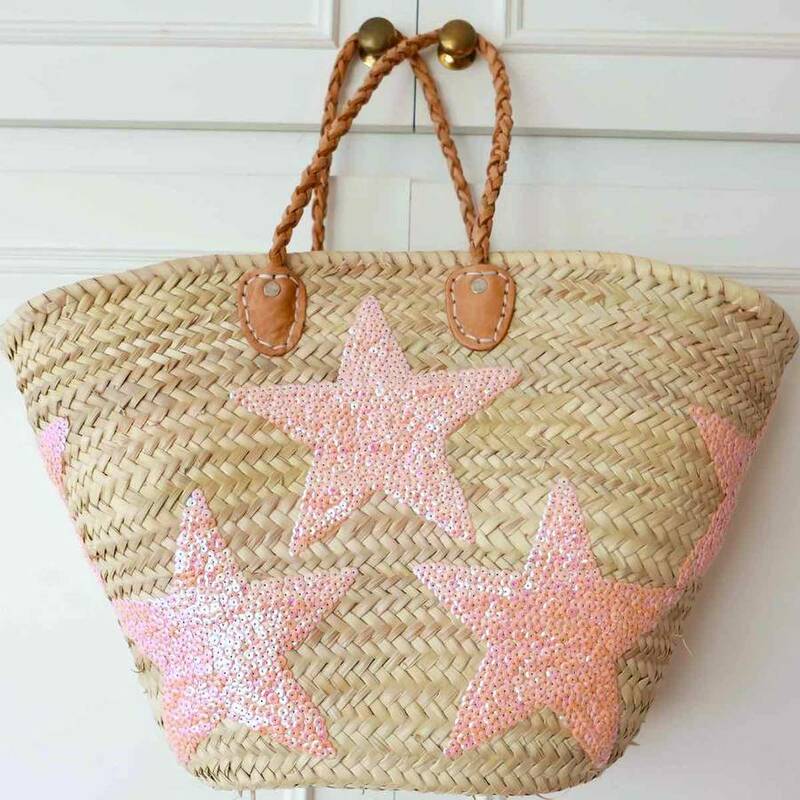 With so many on offer, I compiled my pick of the best whilst the summer lasts to use as beach bags and a variety of different baskets to use in the home. I also like these star sequin baskets from Skoura that you can find at Notonthehighstreet. I also love these ones for the home. 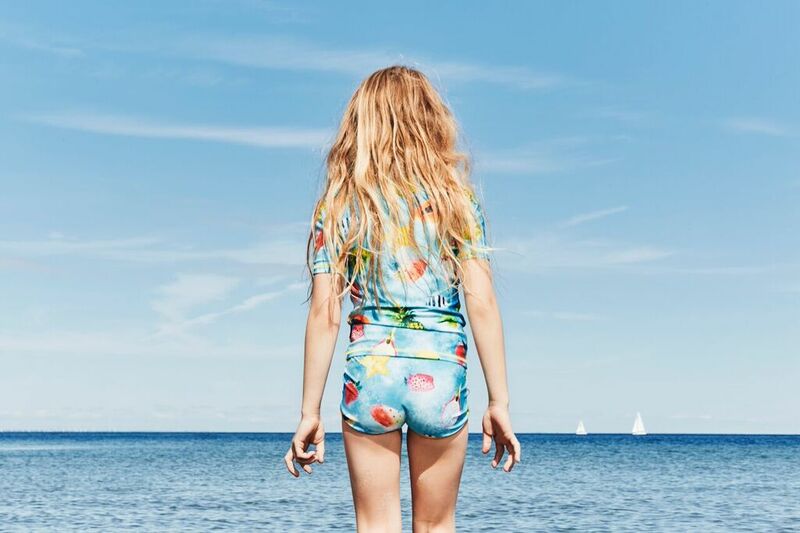 A good selection can be found at children’s store, Olliella. 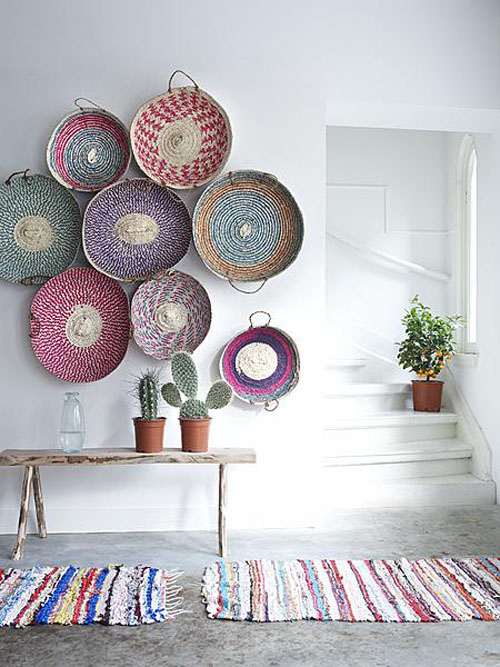 You could also think of creating a wall display with a number of woven baskets but you must use similar looking baskets and those of the similar size to make an impact. 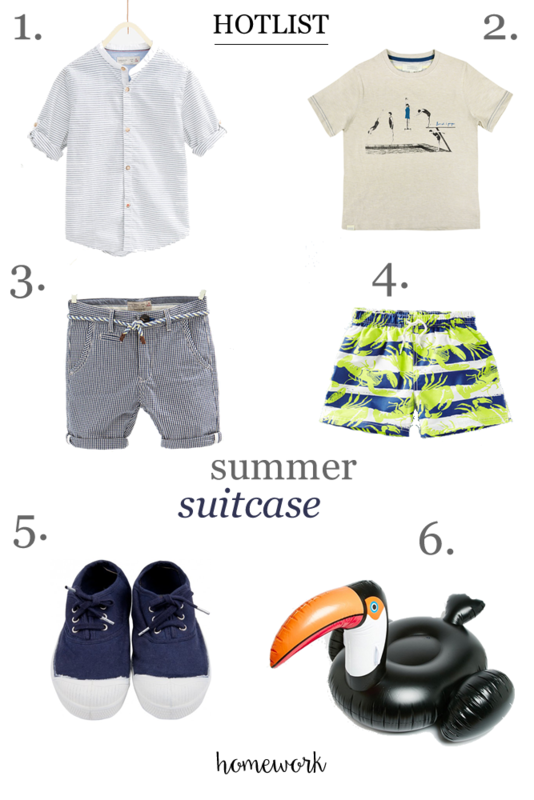 Summer is here and that can only mean one thing…. the Sales have started! I have to try and restrain myself when they first start (especially in the Zara sale) and not buy up everything just because there is a little discount. There are always some good bargains to be had right at the end. 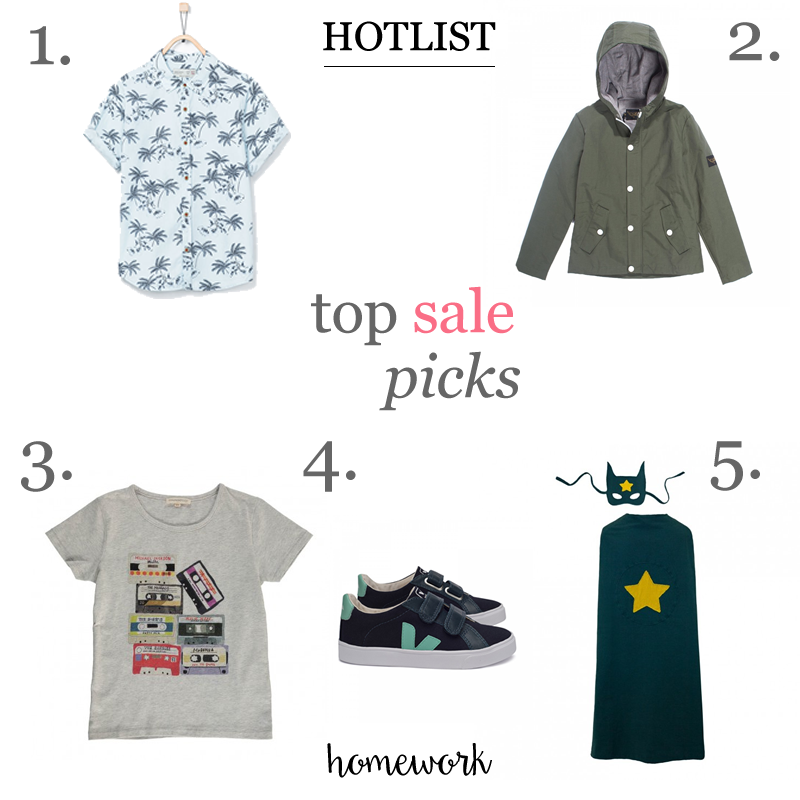 Here are a few of my top sales picks with some real-life purchases across womens, girls and boys fashion with a dressing up outfit thrown in for fun. 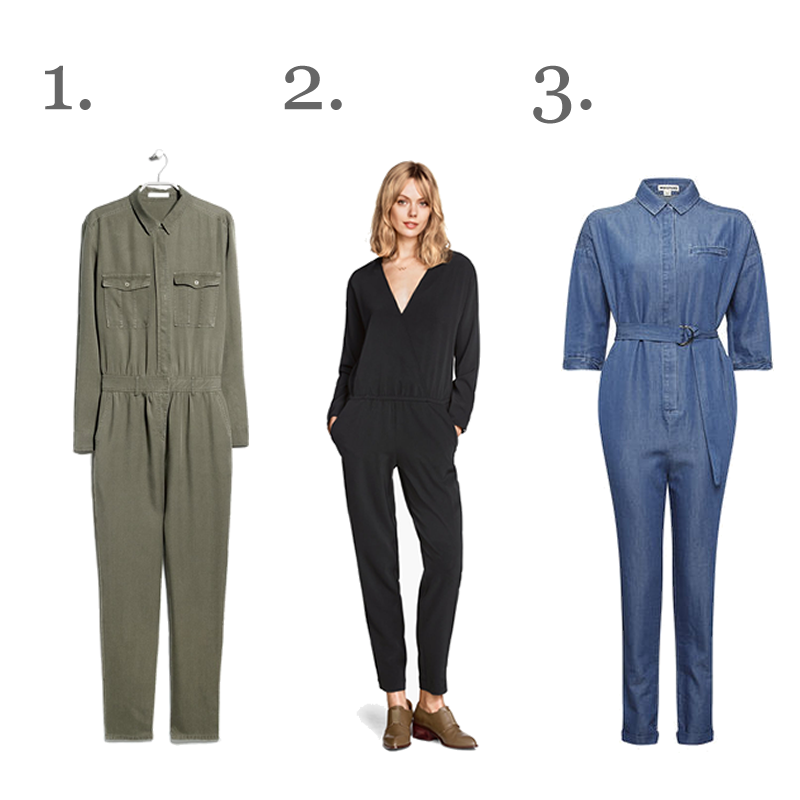 I think I am a little obsessed with jumpsuits! I just can’t stop buying them. 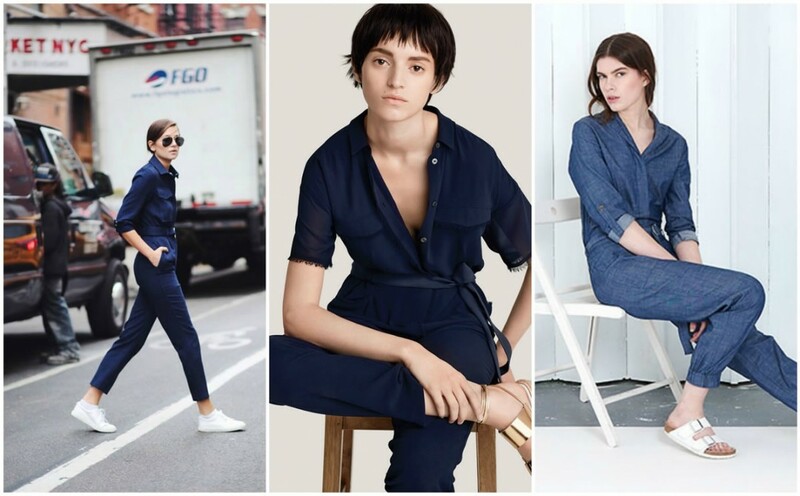 What was once a niche item has now become a wardrobe staple and a new summer uniform. So here are my three of the best and another one I couldn’t resist adding. 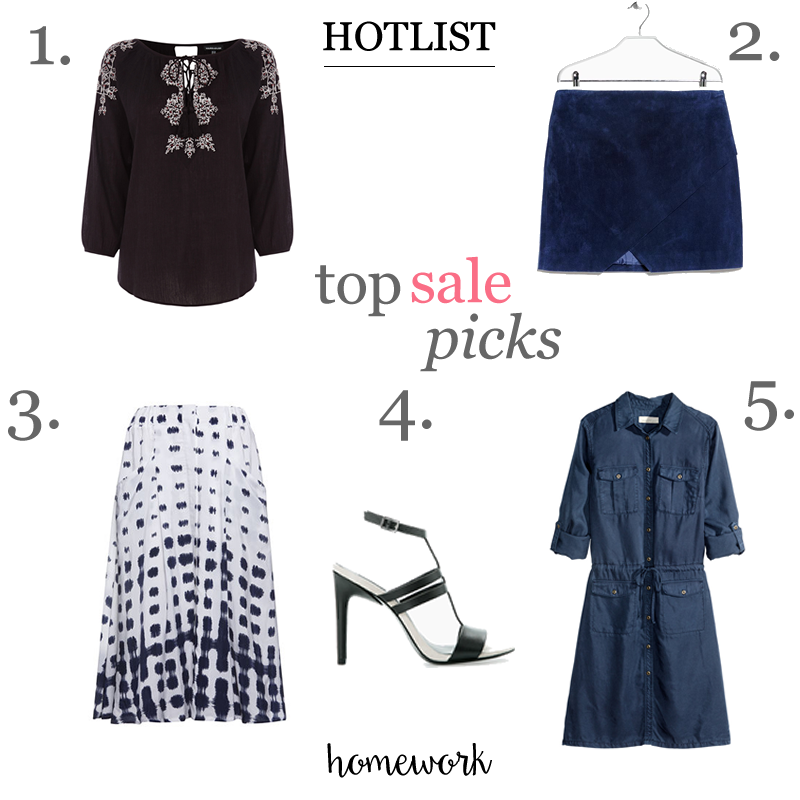 The H&M black one as seen in Grazia is the most versatile and comfortable piece I have ever worn. It goes with everything and is suitable for day or night teamed with a pair of heels. And it’s purse friendly too at £15 now in the sale! This jumpsuit is from new label ‘a day in a life’. 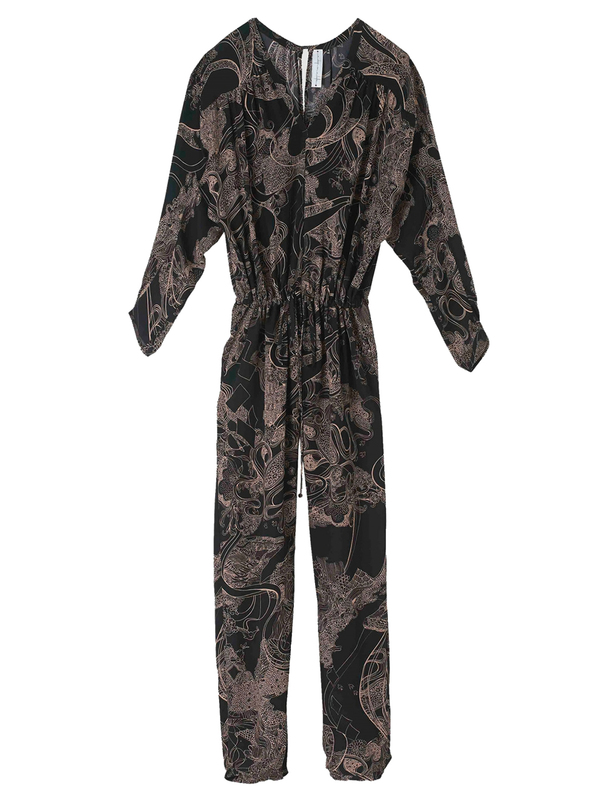 Gorgeous print but a little pricier at £290 as it’s silk chiffon.